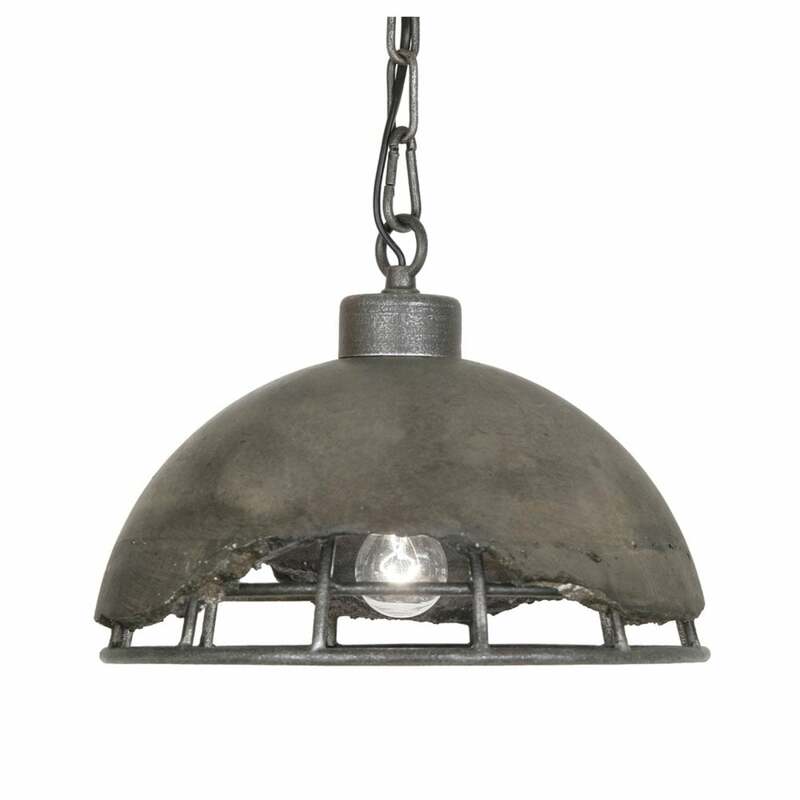 Oaks Lighting Kellen single light ceiling pendant features a circular ceiling plate with decorative chain holding a dome shaped shade with a broken concrete design top and metal cage bottom. This unusual design looks great hung in groups or individually over kitchen island or dining table, adding an industrial feel with a wow factor to any kitchen or dining room within your home. The Kellen range includes a 3 or 4 light pendant and single light wall fitting which can be viewed on our website.